Come to Rainbow Acres’ cosmetics section and check out our new display of aroma diffusers by Le Comptior. These functional accessories come in many beautiful shapes and sized to accommodate your home décor. Many models have customized color lighting and a sleek wood-grain finish. La Comptior’s whisper-quiet design options will spread your desired essential oil scent throughout your home. Many models come with a remote control and an automatic shutdown feature that kicks in when the water level gets too low. Calendula oil may have anti-fungal, anti-inflammatory, and antibacterial properties that might help in healing wounds, and soothing eczema. My Magic Mud is a mixture that includes coconut shell charcoal, calcium bentonite clay, organic orange peel extract, and organic mint extract. These ingredients create a flavorless, odorless compound for teeth whitening. “By the time Jessica Arman’s daughter was 7 years old she had been to the dentist more than she had been to the doctor, Jessica said. - Brett Thorne, Community Impact Newspaper. QUMIR is a fine organic chocolate made in Ecuador. It’s made from 66% pure dark chocolate, selected from the Arriba cocoa beans. This brand of chocolate is 100% natural, non-GMO, Kosher, and certified organic. QUMIR was specially designed by keeping health conscious customers in mind and respecting a sustainable production process. This tasty snack is gluten free, rich in antioxidants, and it helps reduce blood pressure and bad cholesterol. Our house made vegan stuffing is made with country bread, vegetables, fresh herbs and incorporates Better Than Bouillon veggie broth and Melt Organic vegan butter. Pair this with our vegan gravy for your holiday table or any time you’re craving savory vegan comfort food! Better Than Bouillon Seasoned Vegetable Base is derived from pureed carrots, celery, onions, and tomatoes. This tasty ingredient is a must have to bring natural flavors to your favorite meals and it only takes a few teaspoons to create a flavorful glaze, hearty soups, or a zesty marinade. Melt Rich and Creamy is the perfect butter alternative. This ingredient is entirely sourced from plants (virgin coconut oil), it’s Non-GMO, and completely dairy-free! This holiday season, keep your kitchen stocked with this vegan delicacy. Approximately half of the annual plastic production on our globe is destined for single-use. Only a small portion of products such as cups, straws, and cutlery makes it to a recycling plant. The remainder of these items end up in landfills or find their way to the ocean where they disrupt wildlife. While recycling helps, reducing the amount of waste we produce every day is the best way to keep it out of the environment. That’s why we here at Rainbow Acres are want to bring you reusable alternatives to plastic tableware! We offer eco-friendly options for all your on-the-go needs, from cutlery sets to plastic-free lunch containers. - U-Konserve’s glass, reusable straws. - Eco Three-in-One stainless steel plates. - Klean Kanteen’s insulated water bottles. - U-Konserve’s bamboo, multi-use utensil. - Conscious Cutlery’s stainless steel utensil sets. Come to Rainbow Acres and try Andalou Naturals’ new line of CannaCell skin care products. Infused with hemp stem-cells these varieties include eye-cream, cleansing masks, day treatments, sunscreens and more! CannaCell is super powered Cannabis Sativa antioxidants cultivated from hemp stem cells. These super-powered antioxidants help counteract free radicals, oxidative damage, sun exposure, pollution, and premature aging. Be sure to check out Andalou’s CannaCell Men’s Line of personal care and grooming products. Andalou Naturals offers a full range of high-performance grooming products formulated specifically for MEN, infused with nature's active ingredient CannaCell to deliver real results. 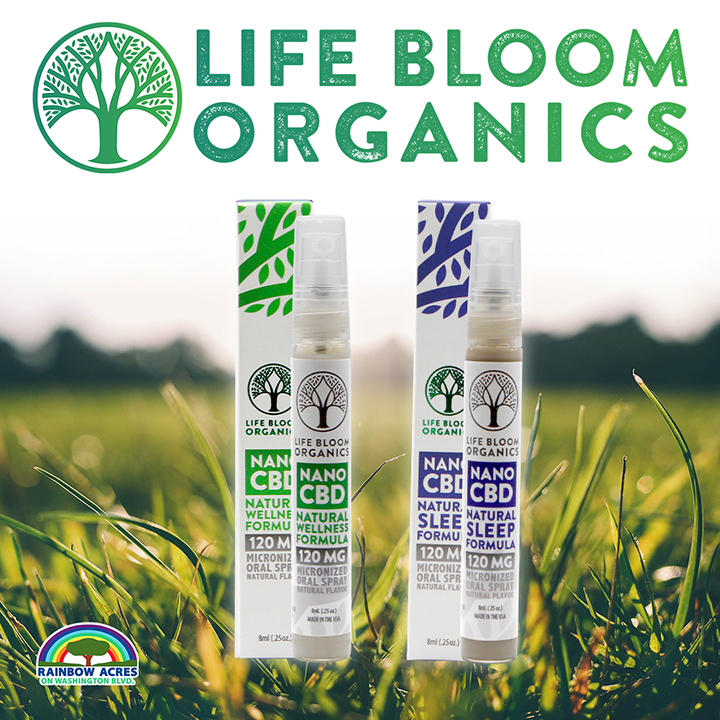 These products feature hemp stem cells, hemp seed oil, and pure plant essential oils in their skin, hair, and body care. These varieties include body wash, shampoo + conditioner, lotion, shaving cream, and deodorant. Stout Nutrition's 100% plant-based Pea Protein and Brown Rice Protein mix combines prebiotics, MCT oil, soluble fiber, CLA, ashwagandha, and more to deliver a holistic and high fiber protein powder. Garden of Life has taken your favorite high-quality multi-vitamins and packed them into holistic fruity gummies! These tasty, effective, and whole food supplements are vegan, organic, non-GMO, and gluten free. Visit our Rainbow Acres Wellness Department this May for a discount on our most popular Bell Lifestyle products. PMS Combo supports healthy hormonal balance and stress levels. Ezee Flow Tea combines twelve herbs that, together, effectively treat urinary frequency. Clear Skin helps your body clean and purify blood using Ayurvedic medicine. All May long, Odnova Herbal Royal Honey Fusions by Gosha's Organics will be on sale; buy one 12 oz with one travel size and get 10% off! These massively potent holistic elixirs are packed with superfoods like propolis, phytoplankton, and ginseng that help with inflammation, energy, and stamina. Representatives from Gosha's Organics will be in store every Monday and Tuesday throughout May to share samples and information. "Clarity" utilizes the power of propolis to promote optimal brain function while marine phyto- plankton elevates mood and concentration. In "Glo", bee pollen is mixed with a holistic blend of superfoods to promote youthful and radiant looking skin from within. The turmeric in "Energy" helps with inflammation, while a blend of superfoods bolster stamina and endurance. Rainbow Acres loves fish oils and vitamin D supplements from Carlson Labs because of their sustainable fishing practices and dedication to quality. Fish oil provides omega-3s EPA and DHA, which supports heart, brain, immunity, joint, and skin health. Vitamin D promotes bone health, immunity, and helps to regulate calcium and phosphorus metabolism. Make fun food part of a healthy diet with the Smartbun, a gluten-free, 72 calorie burger bun with 10 grams of protein per bun! It's high in fiber and Omega-3 fatty acids. Combining flax, egg whites and all natural non GMO ingredients you have a superfood that may reduce the risk of chronic diseases, help your digestion and strengthen your immune system. Let Rainbow Acres introduce you to Il Morso, your new coffee shortcut. Made with espresso bean, cocoa butter, and whole cane sugar, Il Morso chocolate is tempered into a mouth-melting bite. Enjoy an Il Morso for the smoothest, non-jittery caffeine lift around. 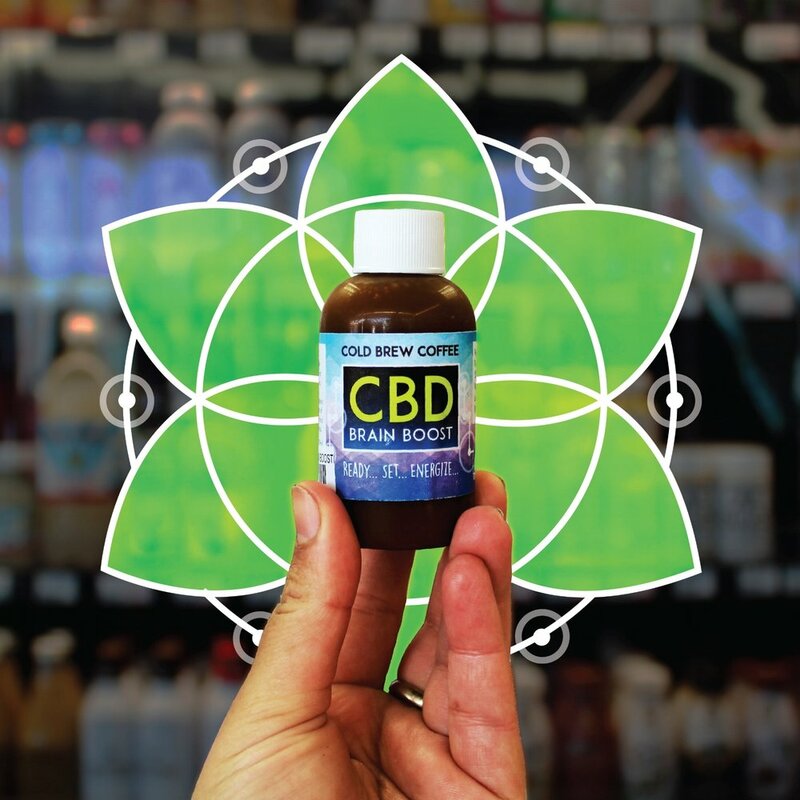 Feed your brain and breeze through work with our Rainbow Acres premium CBD Brain Boost. Our low acid cold brew Bulletproof coffee blends deliciously with Jeff's Best Hemp extract, Bullet Proof Brain Octane, cacao, cinnamon, and maple syrup to deliver superfood energy and stress relief. Our CBD Brain Boost combines the holistic power of hemp in Jeff's Best hemp extracts with the powerful effects of Bullet Proof coffee and Brain Octane. Unique beneficial phytonutrients are found in hemp that bind with receptors in your brain and help you reach optimal balance and flow. These endo-cannabinoid receptors help your body manage stress and reduce inflammation. Bullet Proof coffee works by formulating specific types of fat that feed your brain and help you stay focused. These premium products compliment each other perfectly in one little shot that keeps you energized and well all day!